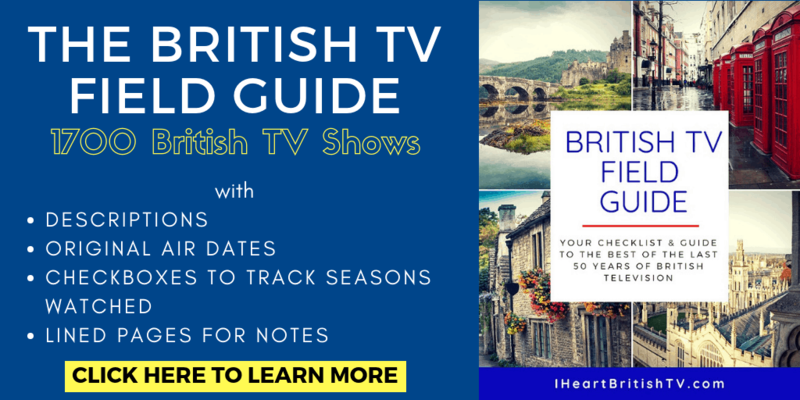 HomeBritish Television StreamingCan I Stream Agatha Christie on Netflix? 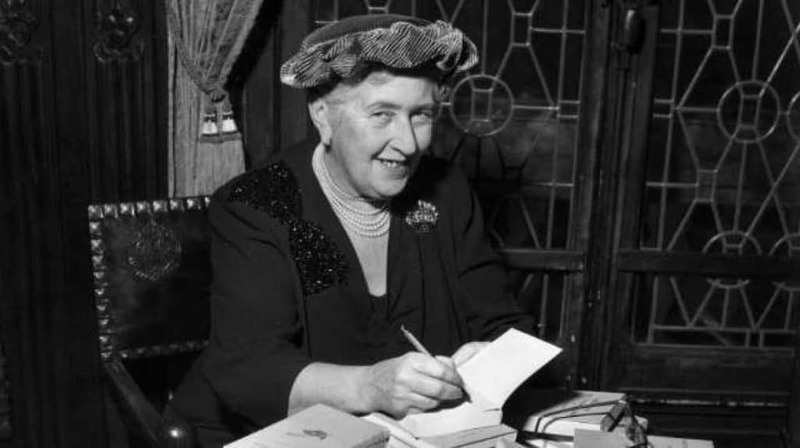 When it comes to British mysteries, Agatha Christie is the grand dame. That's probably why we frequently get questions about whether there's any content by Agatha Christie on Netflix. Unfortunately, you won't find much in the way of Agatha Christie adaptations streaming on Netflix. It's actually kind of weird. As of September 2018, we couldn't find ANY Agatha Christie on Netflix. UPDATE: As of February 2019, there is one title on Netflix that qualifies as an Agatha Christie movie. It is NOT authorized by the Christie family or anyone who owns the rights to her work, but it does include her as a character. The movie, Agatha & the Truth of Murder, imagines what might have happened during Christie's famed 11-day disappearance back in the 1920s. That doesn't mean you're out of luck, though. If you're a die-hard Christie fan, an Acorn TV subscription will be a good investment. Acorn TV is owned by RLJ Entertainment, which has a 64% stake in Agatha Christie Limited, the licensing arm of the Christie estate. Many of the adaptations are also available to stream as rentals or purchases. To help you find your way to what you're looking for, we've divided things into three categories below: TV shows and miniseries, movies, and Netflix titles that are similar to Agatha Christie shows and movies (since many people have probably arrived on this post looking for Netflix options). 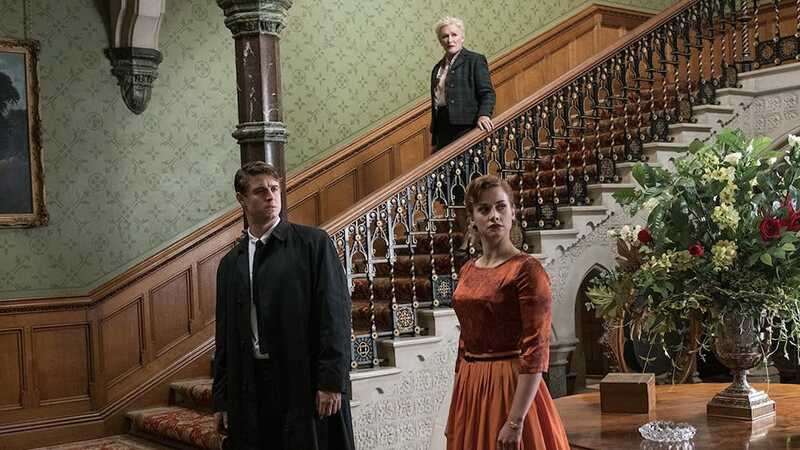 Where Can I Stream Agatha Christie TV Shows & Miniseries? 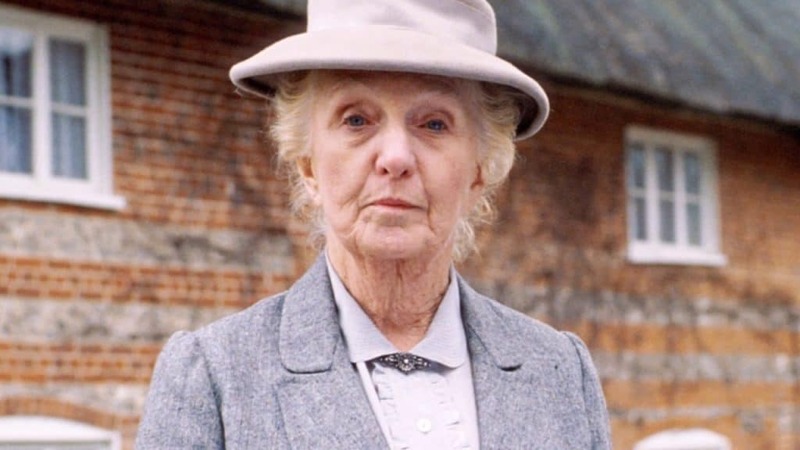 Miss Marple – 1984 to 1992 – Joan Hickson has the distinction of being the only Miss Marple to have personally received a note from Agatha Christie saying, “I hope one day you will play my dear Miss Marple,” and many consider her to be the gold standard (though it's not quite so universal as with Suchet playing Poirot). Hickson played Marple over the course of 8 or so years of miniseries. Stream it HERE. Agatha Christie's Marple – 2004 to 2014 – In this incarnation of the Miss Marple series, we see the clever spinster detective portrayed by two fine actresses – first, Geraldine McEwan, and later, Julia McKenzie. The episodes in this series were adapted from 12 Miss Marple novels, 2 short stories, and 9 novels that don't actually feature Miss Marple at all (but hey, everything is better with a little Marple). Stream it HERE. And Then There Were None – 2016 – Based on the novel Ten Little Indians/And Then There Were None, this three-part series begins with 10 strangers invited to stay on an island off the Devon coast. Soon after their arrival, a storm cuts them off from the mainland and bad things start happening. Stream it HERE. 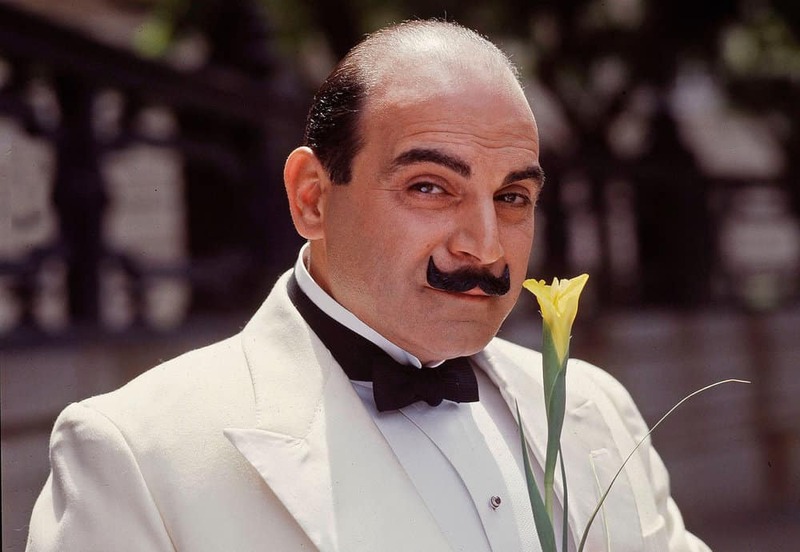 Agatha Christie's Poirot – 1989 – 2013 – David Suchet stars as the famed Belgian detective Hercule Poirot in this long-running series, somehow managing to be both highly faithful to the novel version, yet more human and likable. Interestingly, Suchet had to wear padding to fill out the more generous proportions of Poirot, and he stayed in character at all times on set, whether filming or not. Stream it HERE. Agatha Christie's Tommy & Tuppence: Partners in Crime – Francesca Annis and James Warwick star in this 1920s period mystery about the crime-solving couple of Tommy Beresford and Tuppence Crowley. There are 11 episodes over 2 seasons. Stream it HERE. Ordeal by Innocence – 2018 – When a wealthy woman is murdered and one of her adopted children is sent to prison for the crime, the matter seemed settled – until 18 months later, when doubts are cast on the original conviction. Bill Nighy (Love Actually) stars in this Amazon-produced adaptation of Agatha Christie's novel by the same name – but the word “adaptation” should be used only in the loosest sense. The series is a massive departure from the original source material, and it's quite a bit darker. Grantchester fans will be pleased to see Morven Christie in the cast. Stream it HERE. 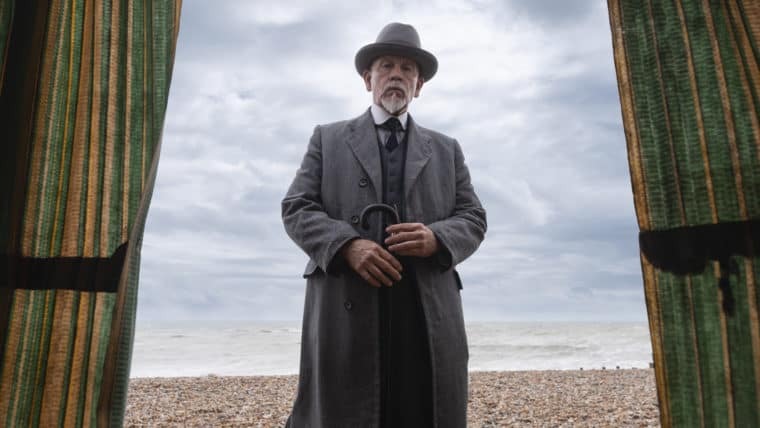 The ABC Murders – 2019 – The latest Agatha Christie miniseries has been highly controversial. Instead of a French or Belgian or even British man, we see Illinois-born John Malkovich in the role of Hercule Poirot. The year is 1933, and an aging Poirot has been getting murderous letters from a stranger known only as ABC. With most of his contemporaries dead or long retired, Poirot struggles to find an ally to help him unravel the deadly mystery. Most of the controversy here is based on the fact that it really is difficult to see someone other than Suchet in the role. Of course, it's also hard to see Poirot aging and getting so little respect – but it's not an entirely bad little miniseries. It was a bit dark, but still an enjoyable enough watch for a week mini-binge. You can check it out here and make your own decision. Where Can I Stream Agatha Christie Movies? Crooked House – 2017 – Glenn Close stars in this adaptation of one of Agatha Christie's most unsettling stories. In it, a spy-turned-PI attempts to catch the murderer of an ex-lover's grandfather – before the messy family secrets come tumbling out into the open. Stream it HERE. Agatha Christie's The Witness for the Prosecution – 2016 – This 1920s period mystery is very polarizing among Christie fans, as it's a bit darker than many previous Christie adaptations. The story is based on her short story and play, The Witness for the Prosecution (originally Traitor's Hands). Stream it HERE. Witness for the Prosecution – 1957 – Tyrone Power, Charles Laughton, and Marlene Dietrich star in this Christie classic about a murder case with big surprises. There are some reports that say this was the only adaptation of her work Christie liked until she saw Murder on the Orient Express in 1974. Stream it HERE. 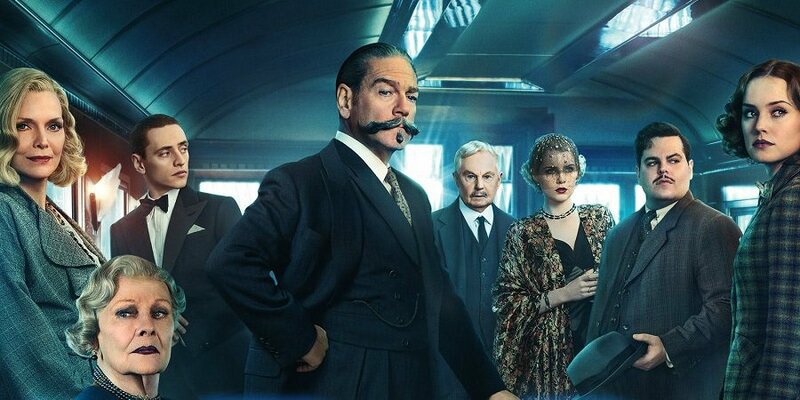 Murder on the Orient Express – 2017 – Johnny Depp stars in this modern retelling of the classic Hercule Poirot tale. In case you haven't seen it, a group of passengers are riding through Europe aboard the Orient Express when a murder is committed. an avalanche stops their progress, and Poirot rushes to solve the crime before another murder is committed. Though the film is rife with historical inaccuracies and weird accents, it's still an entertaining way to spend a couple hours. Stream it HERE. Murder on the Orient Express – 1974 – This classic adaptation features a star-studded cast of Albert Finney as Poirot alongside Sean Connery, Lauren Bacall, Ingrid Bergman, and Vanessa Redgrave. Agatha Christie actually attended the premiere, and it was her last public appearance. She felt this particular adaptation was the best in her lifetime. Ten Little Indians – 1988 – This Russian Agatha Christie movie is a retelling of the novel Ten Little Indians/And Then There Were None. Stream it HERE. And Then There Were None – 1945 – This black and white retelling of the popular Agatha Christie novel isn't known for being a great viewing experience. Lack of attention to copyright laws resulted in it falling into the public domain, and most copies floating around are quite low quality. Stream it HERE. Agatha Christie's The Mirror Crack'd – This star-studded movie features Angela Lansbury as Miss Marple, investigating a murder that takes place while a movie films in her quiet village (as if we needed any more evidence that murders follow Angela Lansbury). Supporting actors include Rock Hudson, Tony Curtis, Kim Novak, and Elizabeth Taylor. Stream it HERE. 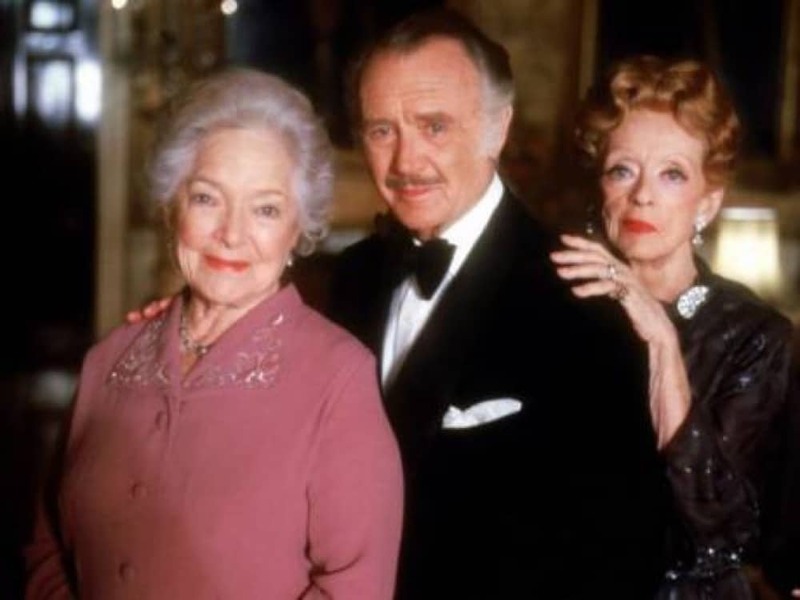 Evil Under the Sun – 1982 – On the trail of a millionaire's fake diamond, Poirot finds himself at a resort full of rich and famous people – and a murderer. This film was Peter Ustinov's first outing as the Belgian detective, and you'll also see Maggie Smith and Diana Rigg looking quite a bit younger. Stream it HERE. 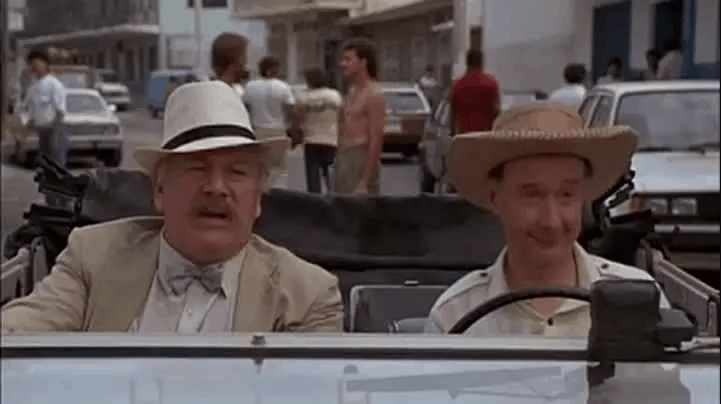 Thirteen at Dinner – 1985 – Thirteen at dinner will surely be jarring to any Poirot fan, as this one stars Peter Ustinov as Poirot…and David Suchet as Inspector Japp. In this movie, Poirot investigates the murder of a man whose wife claims he was actually murdered by a woman who looks like her. Stream it HERE. Dead Man's Folly – 1986 – This TV movie has Poirot invited to a murder mystery weekend at a classic English country house. While he's playing expert, someone commits a murder and puts his skills to the test. Fun fact: during a scene in the film, one of the characters quotes a line from Edmund Spenser's “The Fairie Queen”. It's the same line that was used on Agatha Christie's tombstone. “Sleep after toil, port after stormy seas, Ease after war, death after life, doth greatly please.” Stream it HERE. Murder in Three Acts – 1986 – Ustinov comes back for another outing as Poirot in this film where multiple guests at separate dinner parties seemingly drop dead of natural causes. Unlike many Christie mysteries, this one's set in Acapulco. Tony Curtis also makes an appearance. Stream it HERE. Sparkling Cyanide – 1988 – When a socialite dies drinking cyanide-laced champagne, it's initially believed to be suicide. That changes when her husband gets a note saying she was murdered. Stream it HERE. Sparkling Cyanide – 2003 – This modern update moves the story to London and brings in MI-5 agents. Though it's a much less faithful adaptation, it does include an appearance by Susan Hampshire (Monarch of the Glen). Stream it HERE. Murder with Mirrors – 1985 – When a woman suspects someone is trying to poison her, she sends for her old friend Miss Marple. This adaptation stars Helen Hayes as Marple and Bette Davis as her friend. It would be Hayes' last film. Stream it HERE. 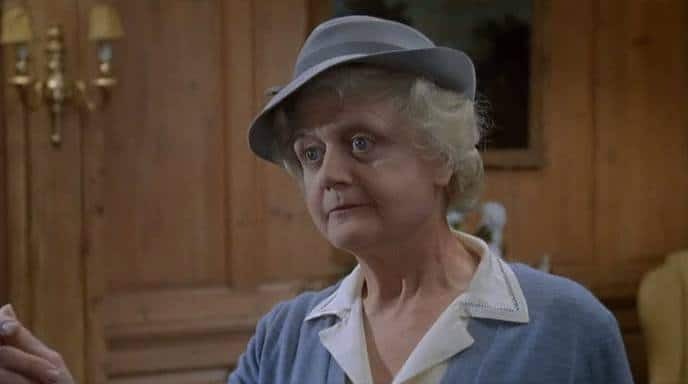 Murder, She Said – 1962 – When police dismiss Miss Marple's claim of seeing a murder through a train window, she's forced to take matters into her own hands. This was Margaret Rutherford's first time playing Marple, and future Marple Joan Hickson also appeared as Mrs. Kidder. Perhaps the most amusing role, though, goes to Richard Briers (Monarch of the Glen, The Good Life) playing Mrs. Binster. Murder at the Gallop – 1963 – When it seems a wealthy older man was frightened to death by a cat, Miss Marple suspects otherwise. Margaret Rutherford's second outing as Miss Marple is noticeably funnier than some of the others (though all hers were pretty amusing), and we also see her real life husband begin the role of Mr. Stringer. Stream it HERE. Murder Most Foul – 1964 – Miss Marple joins a theatrical company to get to the bottom of a murder. 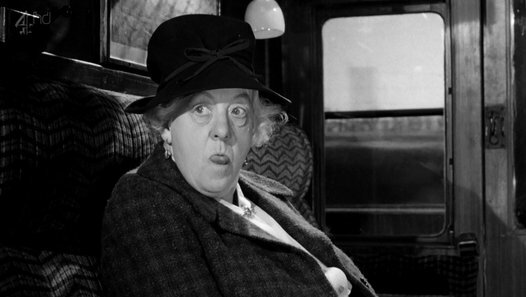 This was Margaret Rutherford's third performance as Marple. Stream it HERE. Murder Ahoy – 1964 – When a friend and fellow board member is found dead, Miss Marple goes aboard a merchant marine training vessel to investigate. This was Rutherford's last credited Marple role, and it also features some great Cornish scenery (as good as it can be in black and white, anyway). Stream it HERE. While there's no true substitute for the grand dame of mystery, you won't find much Agatha Christie on Netflix. They do have a few series that are similar in one way or another. A Kind of Murder – 2016 – While obsessing over an unsolved murder, an architect fantasizes about killing his wife – until she turns up dead. Set in 1960s New York. This one's great if you're craving a period mystery. 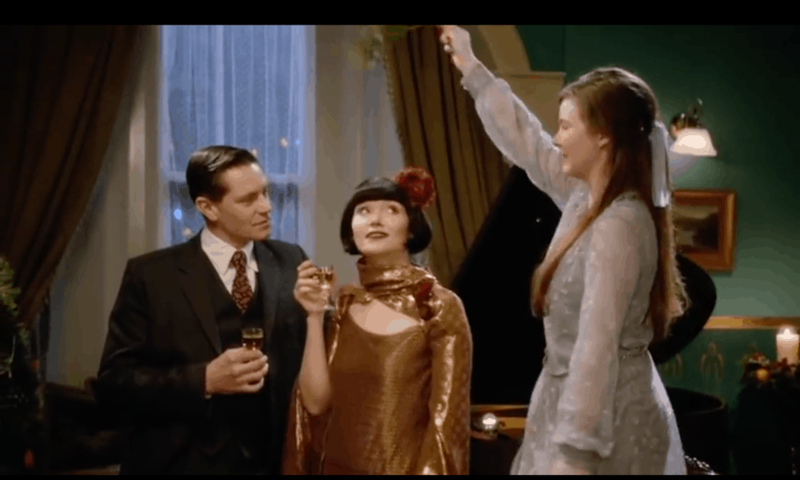 Miss Fisher's Murder Mysteries – 2012 to present – Set in 1920s Australia, Phryne Fisher almost feels like the character Agatha Christie might have created if she'd set out to write a younger sleuth. It's almost worth watching just for the fashions and interiors. Father Brown – 2013 to present – If your favorite Christie mysteries are the ones set in peaceful English villages, Father Brown will help you get your fix. Midsomer Murders – While Midsomer Murders features career detectives instead of amateur sleuths, it still has that great English countryside vibe. Know of any other mysteries similar to Agatha Christie on Netflix? Or did we miss any that actually ARE on Netflix? Let us know in the comments!